Nancy Goldstone is the author of several works of fiction and nonfiction. She has written for The New York Times, The Washington Post Magazine, and The Boston Globe Magazine Lawrence Goldstone has written both fiction and nonfiction. 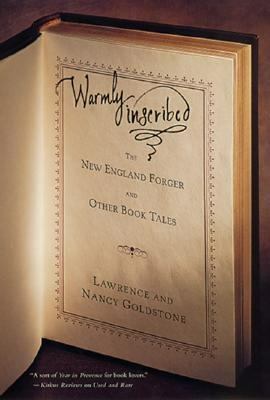 His first novel, Rights, won a New American Writing AwardGoldstone, Lawrence is the author of 'Warmly Inscribed The New England Forger and Other Book Tales', published 2001 under ISBN 9780312262686 and ISBN 031226268X.